River boat trips,scenic estuary cruises, sandboarding, sundowners, and birdwatching near Port Elizabeth on the Sunshine Coast. The Sundays River Ferry is located just 35 minutes from Port Elizabeth in a small village called Cannonville on the banks of the Sundays River Estuary. The boat is surveyed and licensed for a capacity of 30 people, has an upper viewing deck and is accessible for the elderly and wheelchairs. The boat also has ablution facilities on board. The Sundays River flows through the pristine beauty of the Addo Elephant National Park. 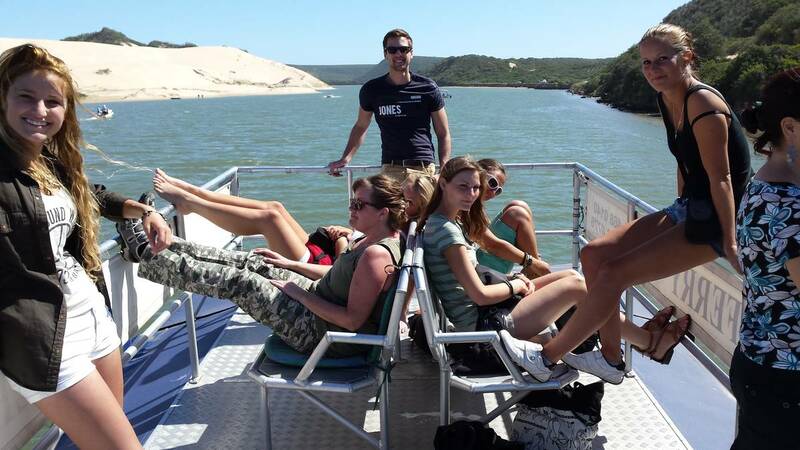 The Sundays River Ferry offers guests a variety of packages including leisure cruises, sand boarding, party cruises, team building events and more. A unique upstream cruise offers wonderful opportunity to view many different species of birds and small game animals. The Sundays River Ferry gives families a chance to enjoy the river, dunes and bush. It was wonderful. We were a group of 8 and each of us enjoyed the sunset cruise very much. We loved ... - Ariane MOLE. Book things to do at The Sundays River Ferry CC. Find the best things to do at The Sundays River Ferry CC. What people say about The Sundays River Ferry CC. It was wonderful. We were a group of 8 and each of us enjoyed the sunset cruise very much. 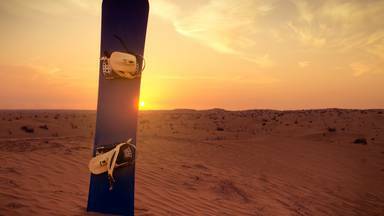 We loved the beautiful landscapes and I personally really enjoyed sand sledding for the first time.Thank you!! 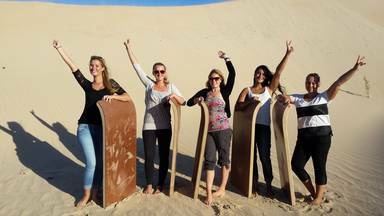 dear crew of Addo Cruises & Sand Sledding, we had a lot of fun with the tour to the sand dune which we did during our South Africa tour. First we went by boat along the small river - with luck you can see animals on the shore, so we could observe some monkeys - and then after a short drive we arrived at the foot of the dune. Then we had to march on the steep dune - a bit exhausting but we were lucky because the sky was cloudy. Riding the board is a lot of fun! Our skipper Jethy was great and prepared one board after the other, so that as often as possible the dune could be down. The tour is a real highlight when you are in the area! On 30 January we did the Sand Sledding Cruise on the Sundays river. We already booked this trip on internet and when we arrived Les(ly) was already waiting for us. Although it was high season but a week day, we were the only couple so we had a private tour. Les was very enthousiastic and knew a lot about the birds and various other species of the river. We saw, amongst others, various birds, white fish jumping out of the river called ‘springers’, monkeys and a very large lizzard. After a while we reached the beautiful Alexandria dunes which we climbed and after Les waxed the sand boards and explained the technique we had the pleasure of sledding down the dunes. It was real fun, We liked it so much that we decided to climb to the top again (good exercise, but duable) for a second run. Back on the boat Les offerd us a drink and a snack an we had a relaxed trip back. 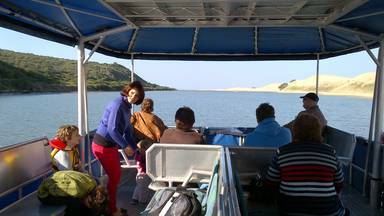 If you visit Addo or surroundings, we really recommend this cruise and especially the sand sledding experience. Great Adventure! In a very personal way we (two couples) had a very nice boattrip at that afternoon. First our skipper showed us some rare birds. They are nesting along the river. After a very chilled cruise to the mouth of the river with a beautiful look to the great villas on one side and the great dunes of Colchester we went to the highest dunes. After a short and steep climbing we enjoyed the view from the dunes over the river, the mouth of the river and parts of the Addo National Park. One of us enjoyed also a ride with a sledge down the dunes. It was a great afternoon.